Mews and News - Happy Mew Year! Whether it's by sheltering, protecting, rescuing, reuniting or rehoming animals, the Hawaiian Humane Society is dedicated to helping Hawaii's people and animals in need across Oahu. April is Animal Cruelty Prevention Month and while Hawaiian Humane is committed to preventing cruelty animals year-round it provides the opportunity to spread more awareness about how the community can take action if they suspect cruelty in their neighborhood or are part of unfortunate circumstances themselves. 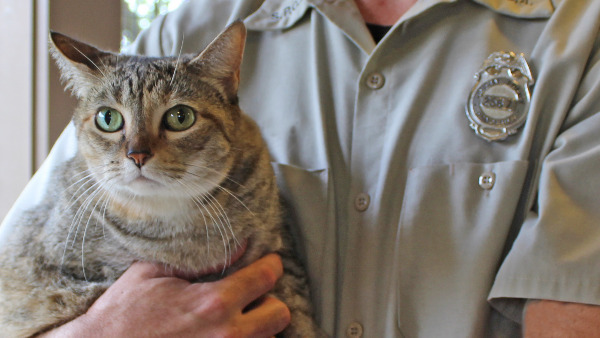 The Hawaiian Humane Society's officers specialize in animal law enforcement and criminal justice, and are the only authority outside of the Honolulu Police Departent (HPD) deputized to rescue animals and investigate cruelty on behalf of the City & County of Honolulu. • Report cruelty and abuse by filing a Citizen Complaint Form. All forms and tips submitted are investigated by the Society's field services team. • Call 356-2250 for questions about stray dog pick-up and 24-hour animal emergencies and rescues. Hawaiian Humane also enforces animal-related laws related to barking dog complaints, crowing nuisances, dangerous dogs and dog bites and animal abandonment. Learn more about the entire scope of the Hawaiian Humane Society's investigation and rescue work at HawaiianHumane.org. Resist the urge to intervene unless kittens are in imminent danger. If conditions appear safe, leave them alone. Cats leave their babies to search for food, relieve themselves or to take a break. Mothers may be gone for up to eight hours, but are usually not far. Monitor the area quietly and cautiously. If the mother feels a threat to her family, she will move her kittens. Learn more about about what you can provide to the mother, and kittens and when to remove kittens if necessary. If you're interested in caring for newborn kittens, stop by the Society's Admissions Center 24-hours a day to pick up a Kitten Kit. Watch this instructional video for tips on how to care for newborn kittens. 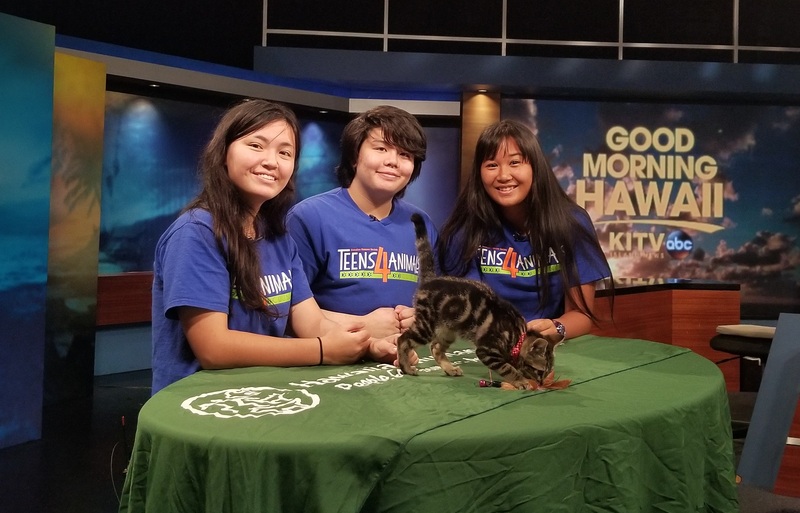 What: Oahu high school students can apply now to take part in the Hawaiian Humane Society's 2019-2020 Teens4Animals Council! Council members will be instrumental in perpetuating the Society's mission to promote the human-animal bond and the humane treatment of all animals. Learn more and apply at HawaiianHumane.org. 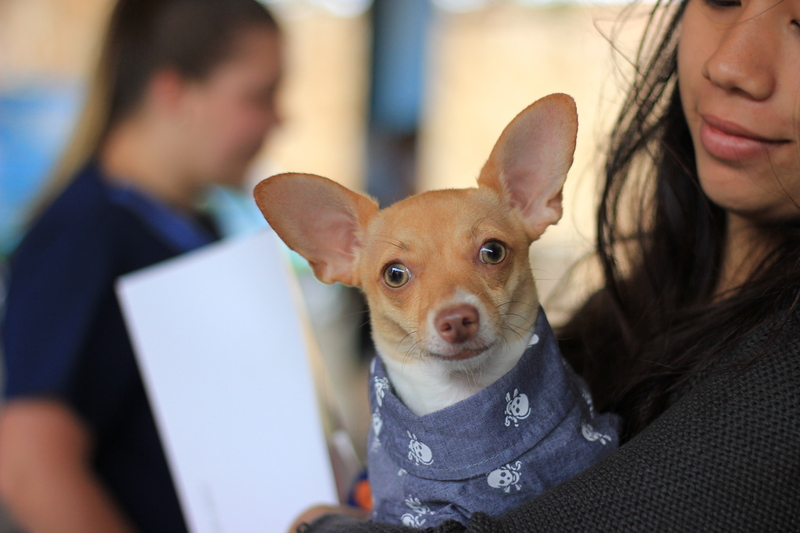 What: Join the Hawaiian Humane Society for free services, including on-site microchipping, spay and neuter certificates, customized pet ID tags, pet food from the Society's Pet Food Bank, games, prizes and much more at Waianae High School, on Saturday, April 20, from 9 am to noon. Call 356-2240 for more information. 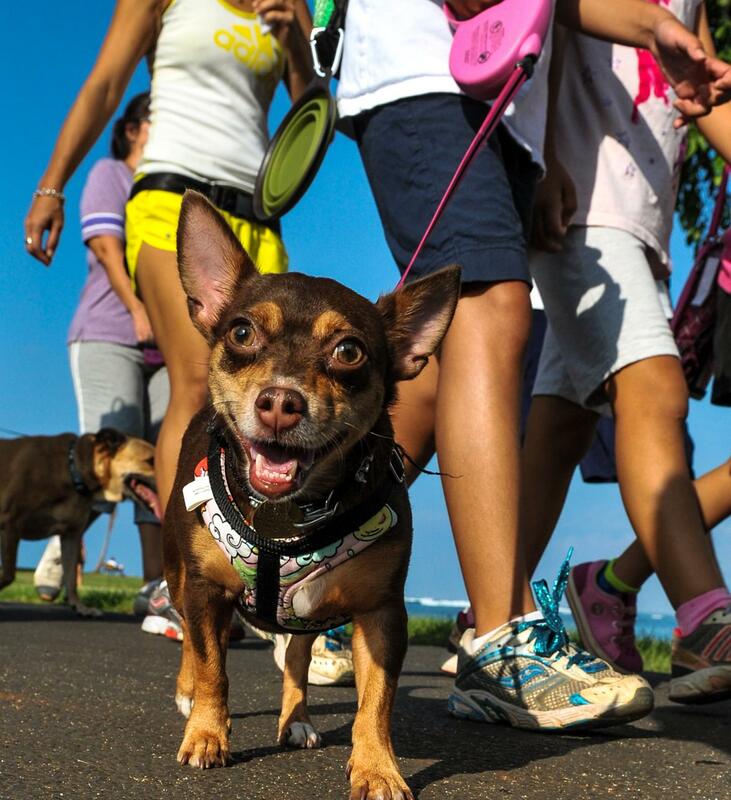 What: The Hawaiian Humane Society's hiking club, Paws on the Path, meets the last Saturday of every month to explore Hawaii with pets and friends. Join us on Saturday, April 27, at 8 am, as we hike the Waahila Ridge Trail. 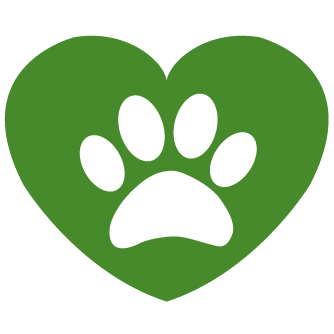 Visit our Paws on the Path page for more hike details. For more information, call 356-2222. 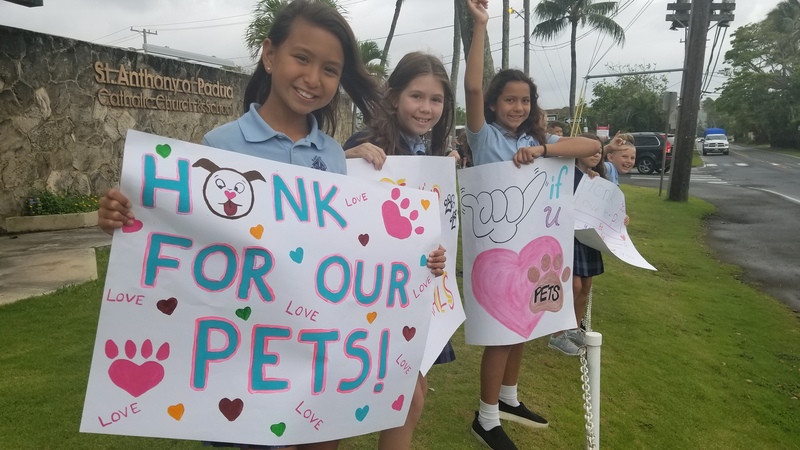 What: Join the Hawaiian Humane Society's sign-waving challenge during National Be Kind to Animals Week and your group could win a pizza party. Open to Oahu students and youth groups. For more information, email education@hawaiianhumane.org. On March 25, 2019, Hawaii Business Magazine released its newest issue that included a feature on Humane Investigator Tom Chmielowicz and his work as part of the Hawaiian Humane Society's field services team. The New Jersey native received a bachelor’s degree in environmental economics from Rutgers University in 2006. He moved to Honolulu in 2014 to be closer to his fiancee’s family.